All images on this page copyright Katherine Leedale, who is one of my favourite photographers. 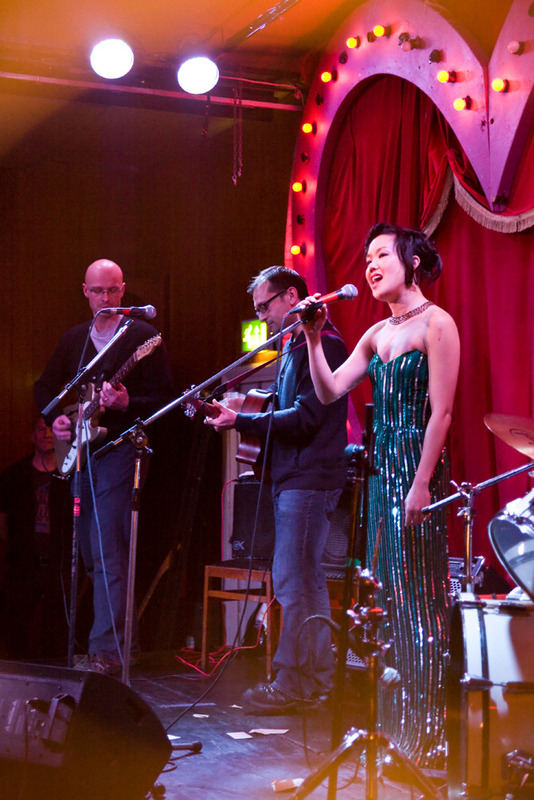 Above, a shot of me singing with my lovely, lovely band, Friends of Friends, at the Bethnal Green Working Men’s Club, for the Brautigan Book Club end of year event. I love these guys, stephenmcaines and Pascal Barras. Read about Spirit of Play’s experience at the Brautigan event I produced and performed in here. stephenmcaines is our link – I sing with him in Friends of Friends aka FOF, and he’s in SOP. I love being the subject of photographer Katherine’s work, and am very lucky to be her occasional guinea pig, and to be able to work with her on saltpeter projects. Read about the photo experiments and events captured by Katherine, involving me, by following this link here. While you’re there, have a look at her other work too. It really is particularly beautiful. 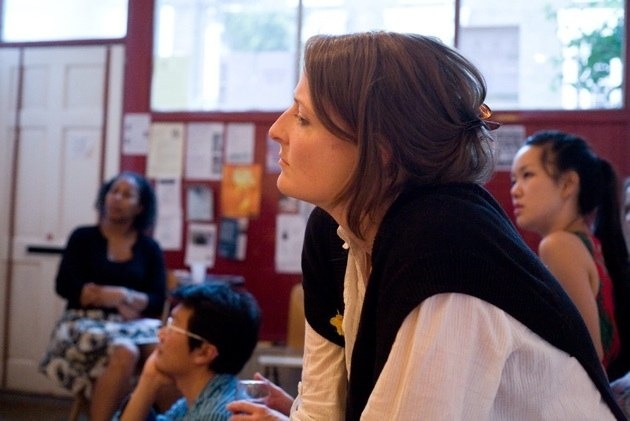 The very first Samantha’s Sunday Night Supper Club at BGWMC (after we moved from Dalston).